Please read through these before placing your order. Healthy Pets Naturally website (www.healthypetsnaturally.com.au) is owned and operated by Healthy Pets Naturally. Your use of the website including all orders and purchases are conditional upon your acceptance and compliance with the terms, conditions, notices and disclaimers set out below. Your use of the website constitutes your agreement to the Terms and Conditions. Any order placed by you in the manner described in this website is an offer by you to purchase a particular product for the price plus postage (including other charges and taxes) specified in this website at the time you place your order. Healthy Pets Naturally reserves the right to accept or reject your offer for any reason, including, without limitation, the unavailability of any product, an error in the price or the product description posted on this website, or an error in your order. Your contract with Healthy Pets Naturally only comes into existence when Healthy Pets Naturally forwards confirmation of receipt of your order and payment. Prices of products and services and delivery and other charges displayed on this website are current at the time of issue, but may change at any time and are subject to availability. You are responsible for any taxes, duties or other liabilities imposed by any governmental agency, including without limitation, any customs duty, goods and services taxes or any value added tax imposed on any products or services acquired or ordered by you from this website. Healthy Pets Naturally will endeavour to deliver all products ordered within Australia in 5 – 14 working days from receipt of order. We will keep you updated as to likely arrival date and delivery type. Our delivery times are indicative only and Healthy Pets Naturally will not be liable for any failure to observe these delivery times. All healthy Pets Naturally products are packaged to ensure safe transit, prior to the goods leaving our premises. Healthy Pets Naturally will not accept responsibility for any goods that may be damaged during delivery. For larger and more expensive items delivered by courier, insurance may be organized by the customer prior to the goods leaving Healthy Pets Naturally. Please advise healthy Pets Naturally if you are intending to arrange insurance. Will exchange any item for another item of equal value within 14 days of delivery should you not be totally happy with your purchase, (does not include delivery charges). Return your item to Healthy Pets Naturally with your original receipt and a brief explanation of the problem. Healthy Pets Naturally will not accept any items that have been damaged in transit. Healthy Pets Naturally will assess the item within 30 days if it should be received with manufacturing defects pursuant to the manufacturer’s warranty. Healthy Pets Naturally will examine the goods for defects and exchange them without question. If an exchange item is not available, for whatever reason, Healthy Pets Naturally will refund in full the cost of the goods. The cost incurred for returning goods not covered by the manufacturers warranty shall be at the customer’s expense. The return delivery charges will be refunded or no charge will be made for the delivery of exchange items if the goods are found to be defective pursuant to the manufacturer’s warranty. NOTE: It is imperative that an item returned must be in original condition and that its packaging also be in its original condition. Healthy Pets Naturally reserves the right to withhold credited funds if these conditions are not met. Healthy Pets Naturally will retain title to the products you order until you have made payment in full for those products, but all risk in the products will pass to you upon their delivery to or collection by a postal or courier service. You should consider whether to obtain any suitable transit insurance which is offered during the checkout process. While the information contained in the website is believed to be accurate and current, it is provided by Healthy Pets Naturally in good faith on an “as is” basis. Healthy Pets Naturally, its’ directors, officers or employees make no representation or warranty as to the reliability, accuracy or completeness of the information contained on the website and none of them accept any responsibility arising in any way (including negligence) for errors in, or omissions from, the information contained in the website. 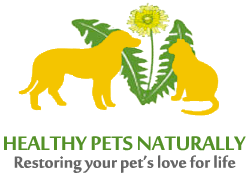 Healthy Pets Naturally is the copyright owner of the content of the website or is licensed by the copyright owner to use the content on the website. Except as permitted by the Copyright Act 1968 (Cth) no part of the website may be reproduced, adapted, performed in public or transmitted in any form by any process (graphic, electronic or mechanical, including further copying, recording, taping or by a storage and information retrieval system) without the specific prior written consent of Healthy Pets Naturally. Healthy Pets Naturally does not represent that any information (including any file) obtained from or through the website is free from computer viruses or other faults or defects. It is your responsibility to scan any such information for computer viruses. Healthy Pets Naturally will not be liable to you or to any other person for any loss or damage (whether direct, indirect, consequential or economic), however caused and whether by negligence or otherwise, which may result directly or indirectly from any such information.